If you calculate the carbon footprint of your "big" day, you might be surprised at how large it is. When you consider airline flights, outfits, presents, food, etc., any reductions or smarter decisions can greatly lessen your impact. The websites below offer some tips and/or ideas to consider. Also consider having guests donate money to your favorite charity, instead of buying gifts that you probably don't really need. 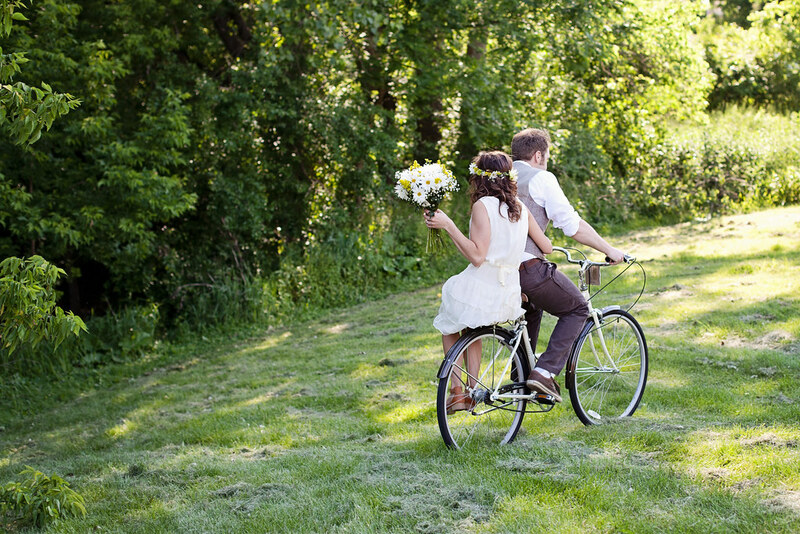 Going green on your wedding day is simple which equals Less Stress. That's a major bonus in my book. Plus with all the money that you save on the wedding, you can go on a fabulous honeymoon!